your life is a runway fashion show. Solids and florals? 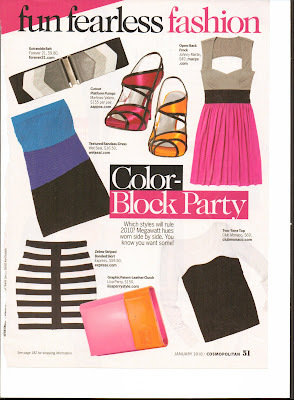 Who needs 'em when colorblocking -- which fits in so well with urban collections -- is around for Fall 2010. In the hands of Lacoste, the colorblocking is bright and bold; for DKNY it takes on cityscape colors for quiet sophistication. Even something as subtle as color banding on a red dress at Georges Chakra falls into this trend.